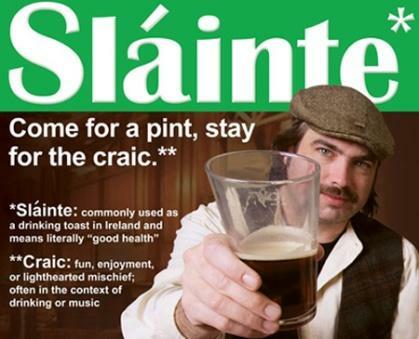 Now that the fog has lifted from St. Patrick’s Day, it occurs to us at the Free Library that the holiday is the moment where the fact of an Irish diaspora is felt most strongly in Philadelphia. However, as St. Patrick’s Day transforms into a quasi-official St Patrick’s Month in our city’s taprooms, the victims of British colonial economic and agricultural policy might look askance at the way we civically remember the life and the land that their descendants fled. 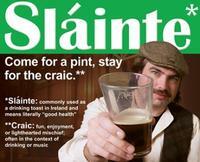 Or alternatively, they might laugh with joy at the good craic (see also Irish Gaelic Dictionaries) had in their memory. On Sunday, April 15 at 1:00 p.m., Parkway Central Library will host the Great Famine Voices Roadshow. A consortium of transatlantic academic and governmental agencies will install a pop-up memory station in the Grand Lobby to share stories and to record video of the impressions that we as Philadelphians have of the “Irish Potato Famine” and the resulting Irish diaspora. The National Famine Museum at Strokestown Park Ireland is especially interested in family stories from Irish Americans in Philadelphia, but also wants to hear from everyone regardless of ancestry. They are not only interested in the impressions we might have of Irish-American life and history, but also in hearing the stories of those who took refuge in America from other disasters or those who survived our own American-made crimes of slavery, internment, colonization, and genocide. The intersections of these experiences across cultures are incredibly important to unearth. So too is humor, hope, and every other story of the strategies of success and survival that most of our families used to get us to today. To everyone who wore their festive green or raised a glass and shouted "Éirinn go Brách" (or even "Wakanda Forever") this past month, we encourage you to visit this upcoming roadshow to listen or to share. Light refreshments will be served. Tickets not required, but RSVP always appreciated via Eventbrite. 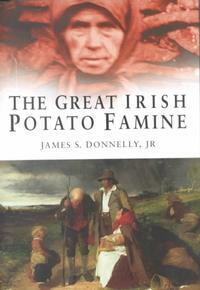 The Great Irish Potato Famine by James S. Donnelly, Jr.